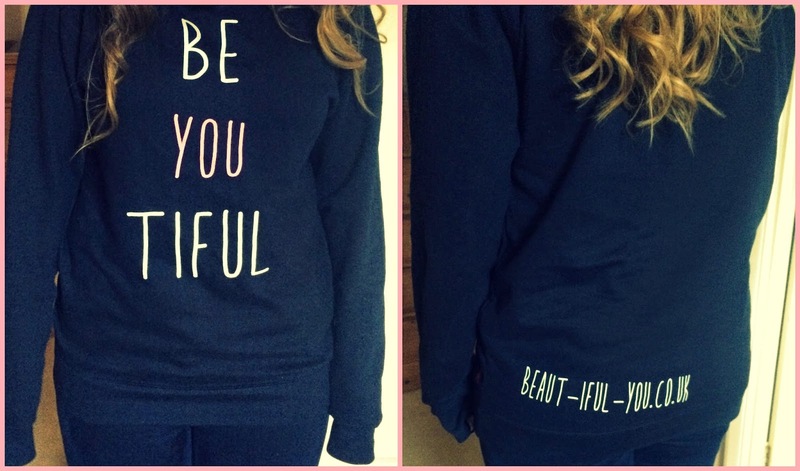 Beautiful You: Be YOU Tiful | My Personalised Rock On Ruby Jumper! Be YOU Tiful | My Personalised Rock On Ruby Jumper! I don't know about anyone else but I am so excited for this post as I have been waiting until after my exams to write it. I was recently in contact with a brand called Rock On Ruby who make personalised t-shirts. It gave me the idea to make a jumper with my blog slogan on it so that's what we did. I worked closely with one of the girls who works there called Holly and together we created this amazing jumper, I love it so much and I hope you guys do it! I am so happy with it and I just wanted to say an extra special to Holly for helping me create it and spending the time emailing me when I was being indecisive! Also I am sorry I have been a bit MIA recently, I had my two exams for uni in this last week so I focused on them but I am now back to blogging and I'm actually going to film a video for next week on my channel so you can all look forward to seeing that. I will see you all soon!